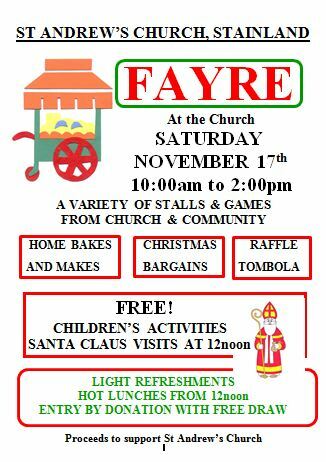 St. Andrew’s Church, Stainland will be holding a Christmas Fayre at the Church on Saturday 17 November, 10:00am-2:00pm with a variety of stalls and games from Church and community. FREE children’s activities and a visit from Santa at 12:00pm. Light refreshments available and hot lunches available from 12:00pm. Entry by donation with a free draw. the Hepton Singers will be performing. 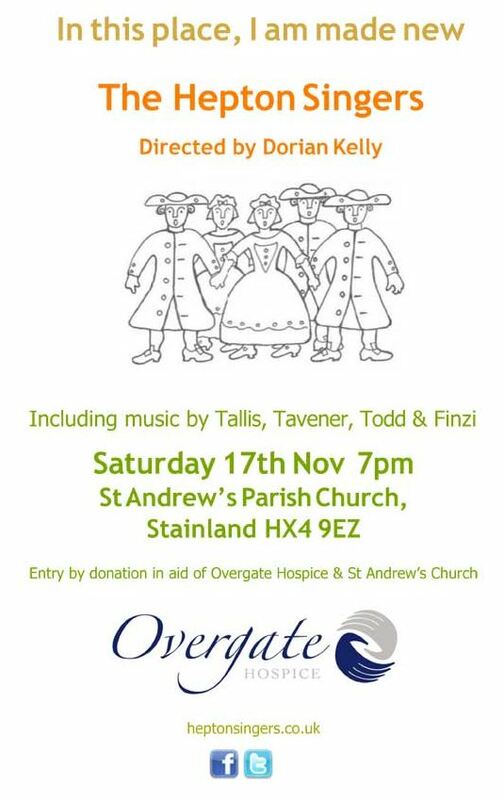 Entry is by donation in aid of Overgate Hospice and St. Andrew’s Church. This entry was posted in Events, Greetland & Stainland, Nov and tagged St. Andrew's Church Stainland.